Make time. Property management is much more than collecting a rent check each month. And remember, if you only spend time on the properties when they demand your attention, you are likely missing opportunities to save time and money. Allow for time to proactively attend to the property and prevent future problems. Recognize that property management is at least a part-time job, and you are on call 24/7. Schedule accordingly. Prepare for everything. 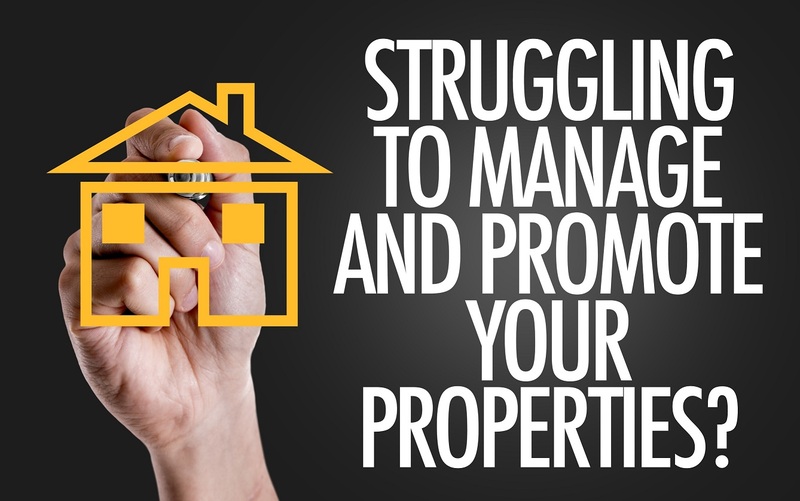 Property management can be a rough industry, and even with your best efforts to place good tenants, you are in for some surprises. Accidental and intentional damage, drug and crime activity, fire and natural disasters, family crises, tenant excuses, collections, and evictions; the seasoned property manager knows all of these are part of owning rental property and isn't ruffled. Accurate expectations and a professional attitude help, but are just the beginning. Learning how to handle each of these events comes with time. Study up. Successful property management is a combination of several different disciplines, including marketing, leasing, maintenance, collections, evictions, accounting, inspections, and legal compliance. If you choose to manage your own rental property, dedicate time to study and make a plan for each of these aspects of property management. Get connected. You will likely find yourself in need of a small army of partners as you work to prepare, clean, maintain, repair, landscape, and buy parts and equipment for the rental unit. It can be difficult to get volume discounts if you don't manage a large number of properties, so do your best to hunt for deals and participate in loyalty programs that can help you make your dollar go a little further and avoid paying full price. Reconsider. If you really don't enjoy the extensive demands on your time and energy that property management requires, you likely are trying to save money by doing it yourself. If this is the case, contact us today. Why does The Ferguson Group have property managers as employees vs independent contractors? Working with employees instead of contractors allows us to take better care of your home and give you the peace of mind that comes from reliable, secure work. All of our Property Managers have completed mandatory educational courses and are licensed by the California Bureau of Real Estate. In addition, we provide our employees with worker’s compensation insurance and ongoing training to give you consistently excellent results--something we couldn’t do with independent contractors. Does the Ferguson Group personally show the properties they manage? Yes, we only allow our fully licensed staff to show available properties. We never use electronic lockboxes or allow realtors to show their clients without one of us present. We serve Roseville, Rocklin, Lincoln, Loomis, Granite Bay, Folsom, El Dorado Hills and surrounding areas. Our fees are broken down into two parts; the set-up fee, more commonly referred to as the rent-up fee, and the monthly management fee. The set-up or rent-up fee is a percentage of the first month’s rent. It includes everything that we do to get your property leased; including marketing, showing, negotiating the lease, signing the lease, completing the initial walkthrough, and moving your new tenant in. The rent-up fee is not charged until your property is rented. Our monthly management fee is a flat fee and is based on the number of properties that we manage on your behalf. The monthly management fee includes full management services; including all communications with tenants, arranging for repairs when necessary, collecting the rent, utility bills and other fees, serving notices when necessary, paying bills for the property on your behalf, and more. Extensive marketing of your property for lease –see How do you advertise my property? Thorough tenant screening - see What does your tenant background check include? What services does the monthly management fee include? What does your tenant background check include? The most important step in the process of renting your property is the selection of a qualified tenant. In order to achieve this, we take a personal approach to selecting a tenant. We only show your home to two or three people at a time. This way, we can speak with each prospective applicant about their individual circumstances and qualifications. This interview process is the first step in the selection of your tenant. Next, we require the prospective tenant to complete a thorough application and we require two months of pay stubs for W-2 employees or the last two years of tax returns for self-employed applicants to be provided with the application. How long does an applicant have to move into my property after they have been approved? We will hold a property for an approved tenant for up to 21 days for an applicant that has been approved and has paid their holding deposit. How do you determine the appropriate rent? You determine the rent, but as a part of our service, we will advise you on current rental rates in your area. To give you the most accurate estimate of rental value, we prefer to visit your property in person, so that we can see the condition and amenities of the property. Upon request, we will also provide you with a detailed rental rate report based on your property from Rentrange.com. And we will discuss the impact that including utilities, such as water and sewer, and/or landscaping service etc. will have on the rent amount. Funds are disbursed monthly upon receipt and processing of rent through the accounting department. We offer direct deposit (ACH) to our owners free of charge. Note: Given the third party (tenant, post office, and bank) involvement in remittance of funds, we cannot guarantee that funds will be available by the 8th of the month. Those signed up for automatic deposit (ACH) usually receive their funds sooner. We are available to show your property Monday through Saturday. We do not believe in open houses as they do not allow for personal interaction with each prospective tenant. We schedule showing appointments for no more than three individuals at a time, so that we can speak with each of the prospective tenants and answer any questions they may have. How do I transfer my Property to you for Management from another Management Company? If you currently have a property manager, you will want to review your contract and the termination clause. Most management agreements require a 30-day written notice but your property manager may allow for an immediate cancellation. Once you have completed and signed this letter mail a copy to your property manager and to The Ferguson Group, Inc. Once we receive this letter we will begin the transfer process at no cost. If your home is currently occupied, we will need to obtain copies of the leases, keys, etc. from your current property management company and you will only pay the monthly management fee once the property is transferred to us. If your property is vacant, we will begin advertising as soon as the contract with your current property management company has been cancelled. If you are currently managing your own property call 916-945-9350, and we will be happy to discuss the process with you. When a tenant reports a maintenance issue, we will contact you regardless of the issue or projected cost of repair. At which point you will have the option to address the issue using one of your contractors (if, for example, you have a plumber that you really want to use) or we can use one of our trusted independent contractors to perform the repairs at no additional cost. Tenants are responsible for the cost of the repair when the maintenance issue is caused by the tenant’s improper usage or negligence.